On this page will be appearing news and announcements related to the world of art, design and culture. 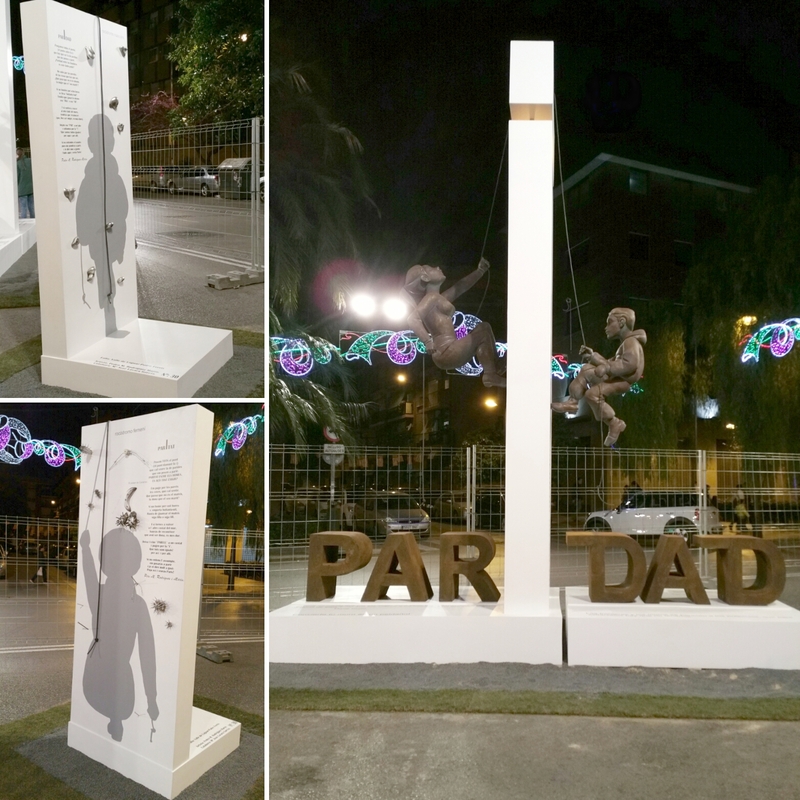 Since some time ago, at the valencian festival have been appearing some ephemeral monuments that have received the name of "experimental fallas". Although, in fact, the essence of the monument remains the same, criticism. 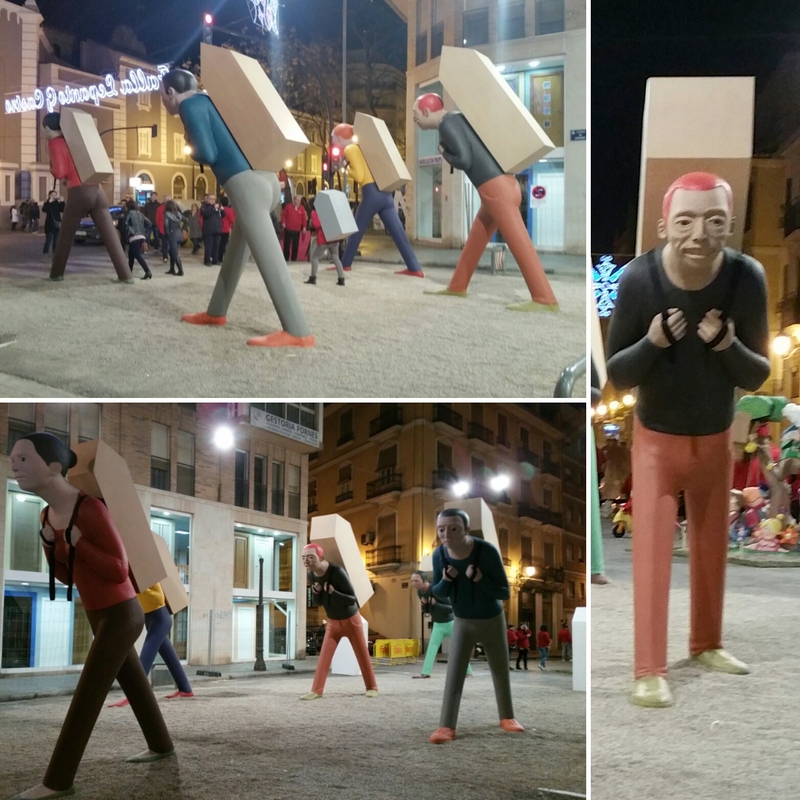 While the traditional falla makes this criticism with irreverence and with images of grotesque or burlesque aspect, this new trend makes us reflect more seriously on the problems that confront our society. They are abandoning the burlesque character of the figures (ninots), the monumentality and, above all, the economic waste that has characterized this festivity in previous stages. These women and men who carry the house at the back, remind us images that lately we see too often. People displaced by the armed conflicts who are forced to leave their homes. A feminine figure and a masculine figure climb vertical wall to obtain its targets. But, in fact, are two slopes of the wall identical? Or, on the contrary, one of them has got a perfect supports and other one has got all the imaginable difficulties? The feminine figure resists, she is swinging, while other people sink around of her as a result of the crisis. She becomes a huge Polyphemus surrounded by odiseus, nymphs and satyrs represented by viewers who watch it. 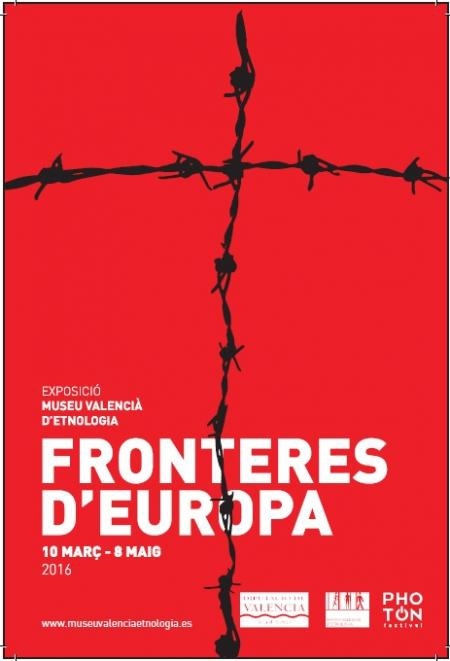 Museu València d'Etnologia from March 10 until May 8, 2016. 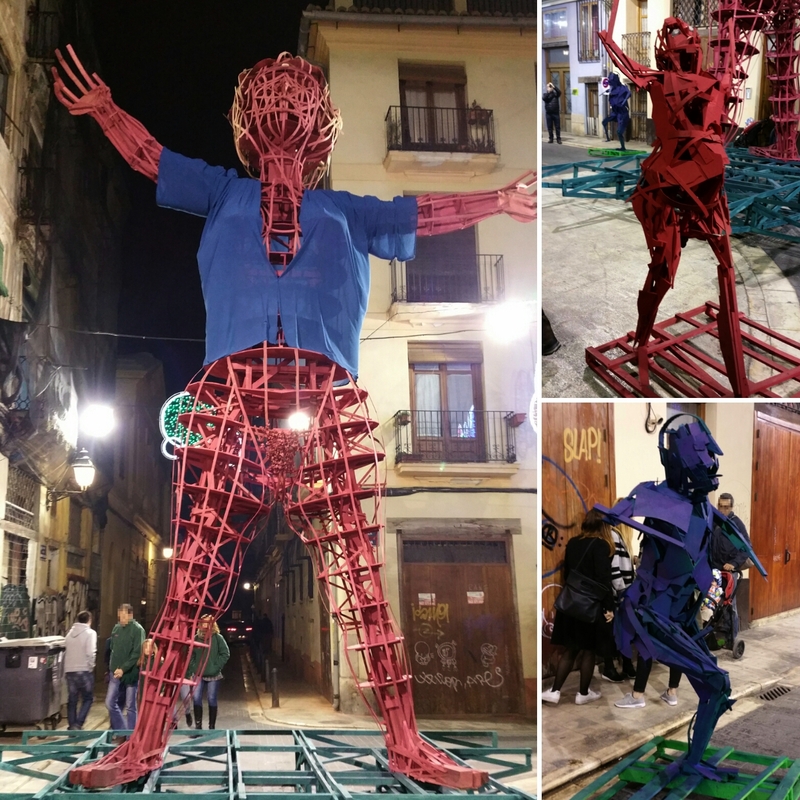 The exhibition that the Museu Valencià d'Etnologia proposed next to PhotOn Festival and the magazine 5W is a reflection on the concept of "Border", it analyzes the migration in a Europe plunged into the greatest humanitarian crisis since II World War. During the decades of 50s and 70s of the past century many valencians went out to work to europe. To leave the village could be temporal or permanent, it was not problem. The exposition "Do you arrive or do you go away? 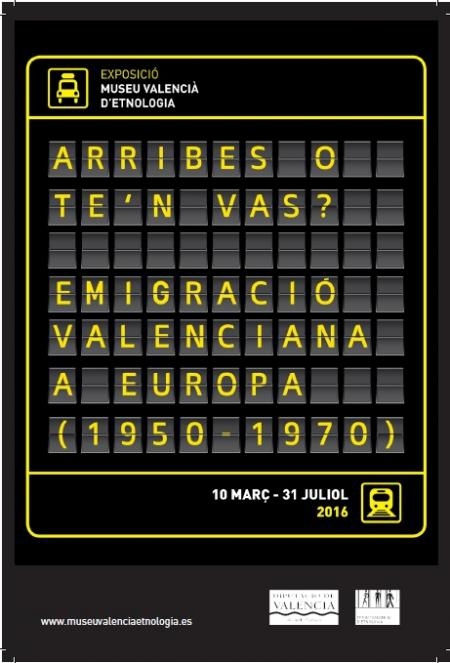 valencian emigration in europe 1950-1970", don't show us the official history of this migratory movement, it show us the intimate and motivational aspects of the people who went out to work, showing the experiences that hide behind the cold statistical numbers. Museu València d'Etnologia from November 25, 2015 until February 14, 2016. Doctor Carsí, supose? (Dr. Carsí, I suppose) is not an exhibition on the art of the Democratic Republic of the Congo, nor about its colonisation, decolonisation or neo-colonisation. It is not a biography, either. These aspects will be present, but the exhibition wishes to focus on what collecting means. Despite the fact that five decades separate us from the events that left their mark on the life of Mariano Carsi Pascual, the neo-colonial problem of Central Africa has come a full cycle and is back in the news. This is not just an old newspaper cutting, then, as it still has tremendous validity today. These are works that result from symbolic violence against the native African. Local objects, although many of them are a reflection of western art. Other souvenirs for consumption. We want to pay special attention to what the transit they have experienced over the last few decades symbolically means for the objects: from tourist goods in the Congo to forming part of the Carsi Pascual collection in a European cultural institution, namely, the Museu Valencia d’Etnologia. A World of Wild Beasts. 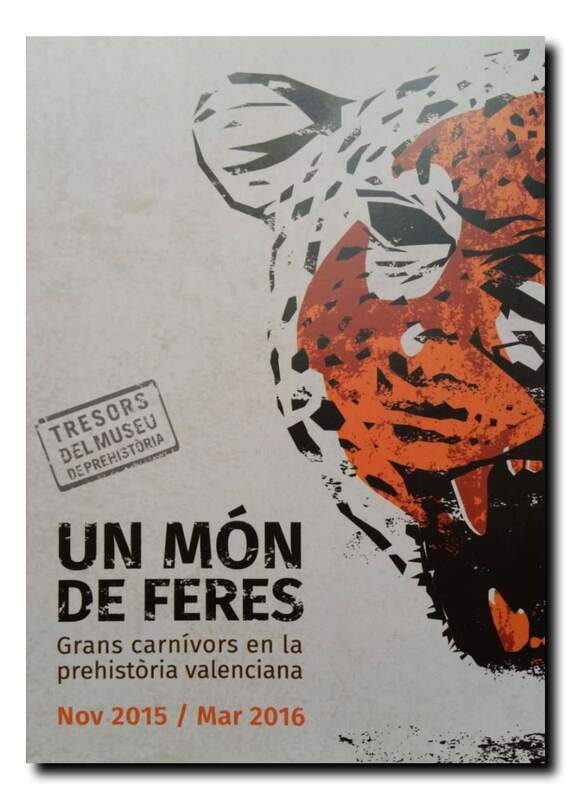 Big carnivores in the Valencian prehistory. Museu de Prehistòria de València, from November 11, 2015 until March, 2016. Extended until May 18, 2016. Within cycle of temporary exhibitions of the Prehistory Museum of Valencia, known like a Treasures of the Museum of Prehistory, opening of the exhibition A World of Wild Beasts. Big carnivores in the Valencian prehistory. The various human groups that inhabited the region of Valencia during prehistory, Neanderthals and its ancestors first (approximately between 300,000 and 40,000 years old) and human anatomically modern (from about 30,000 years ago), go to live with four groups of large carnivores: ursidae, hyaenidae, canidae, and felidae. In this area, humans and carnivores competed for space and preys, mainly by the flesh of herbivores, rivalry, which in some cases resulted in a direct confrontation. The representation of the large carnivores in prehistoric figurative art confirms these relationships and their inclusion into the symbolic universe of hunter-gatherers. Most of these large carnivores are extinct in our area during the upper Pleistocene, the Lion, the Hyena of the cave and Leopard, and some of them in the initial Holocene, as the cuon. Today the brown bear and wolf are not present in the Valencian territory, although they maintain diverse populations in other parts of the Iberian peninsula. All images and texts and trademarks that appear in this space belong to their rightful owners, and cannot be used with lucrative ends or without their consent.